Mr. Nik Sekhran is the Director for Sustainable Development in the Bureau for Policy and Programme Support. In this role, he oversees work on development planning, inclusive sustainable growth, livelihoods and economic recovery, environment and natural resources management. Over the past 22 years, Mr. Sekhran has dedicated his career to spearheading sustainable development, working on-the-ground in over 40 countries across the world. His particular experience in development and natural resources management has included the provision of policy advice and programme support to governments to ensure the sustainable use of natural resources, including fish stocks, forest resources and minerals, the conservation of biodiversity and measures to ensure that economic development is planned and managed to optimize sustainable and inclusive growth prospects and to uplift the livelihoods of the poor. He also has a strong track record in the governance arena, working to improve transparency in decision making, accountability and institutional effectiveness in public administrations. 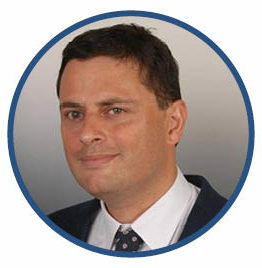 Mr. Sekhran holds degrees in Economics from the Universities of Bath and Cambridge in England. Prior to his present post, Mr. Sekhran was Head of the USD 1.5 billion UNDP Ecosystems and Biodiversity Programme.